It's the latest craze that's taking the internet by storm, so for a little Friday afternoon entertainment, here's our take on the cat beard meme. Basically, it involves holding a cat in front of your face and taking a picture, making it look like a beard. Intrigued? Take a look at what the great composers would look like if they could take part in the trend. 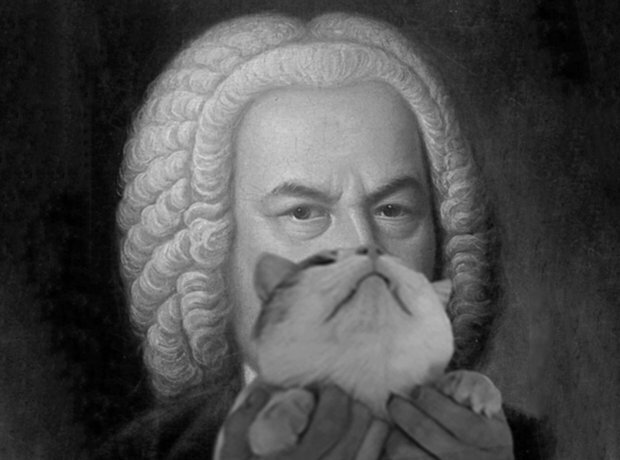 Bach must have been listening to the Branden-purrr-g Concertos before holding a cat in front of his face. We're all enjoying a cat nap after listening to Eric Whitacre's Seal Lullaby. Good old Fur-gei, sorry, SERgei Rachmaninov. With a cat in front of his face. Birthday boy Richard Wagner, complete with cat beard. We've been listening to his Ride of the Val-kitties all week. Although Liszt may not be the most famous feline fanatic, his Hungarian Rhapsody No. 2 was used in an episode of Tom and Jerry entitled The Cat Concerto. So here he is with a cat. As a beard. Brahms. With a cat beard. The composer was wrongly accused of slaying cats for around 100 years, so he could work the sounds into his chamber music - but this was later found to be a rumour. And a good job too. Grieg. Didn't he write the Hall of the Meowntain King, from Purr Gynt?